Ben Shapiro speaks at the 2018 Young Women's Leadership Summit hosted by Turning Point USA in Dallas. Ben Shapiro sure knows how to draw a crowd. Tickets to see the conservative firebrand at Pitt sold out in mere minutes at the William Pitt Union. Three hours before Shapiro began speaking, the standby line snaked around Alumni Hall. Hundreds of people pushed and shoved to get their hands on one of only 30 coveted standby tickets, all while listening to protestors chant from the mouth of the building. Still, amid all the chaos, one thing was clear — Pitt was a bit more open to Shapiro’s presence than other universities, showing very little of the hostility that often greets conservative speakers who dare to show their faces to politically strident college students. Pitt has the right idea — Shapiro may be forceful in his arguments, but he’s a principled conservative who shouldn’t whip up the left into throngs of anger. Shapiro’s views are staunchly, unapologetically conservative — taxes are too high, abortion should be illegal, Social Security and Medicare privatized and the Affordable Care Act repealed. But he’s not the hateful right-wing villain liberals paint him as. But Shapiro’s tactics bear stark contrast to those of an actual professional provocateur like Milo Yiannopoulos — another young conservative speaker who’s frequented college campuses, including Pitt, and who’s gained infamy for his silly, offensive stunts that have included intentional cultural appropriation and calling feminists ugly. Yiannopoulos pandered to a young, dissident conservative base to gain popularity and infamy. But Shapiro, instead of cozying up to everyone on the right, has routinely condemned problematic views on his own side. As an Orthodox Jew, Shapiro was quick to denounce the racist and anti-Semitic alt-right movement at a time when most young conservatives found it to be hip and counterculture. As a result, according to the Anti-Defamation League, he was the number-one target of anti-Semitic tweets in 2016. 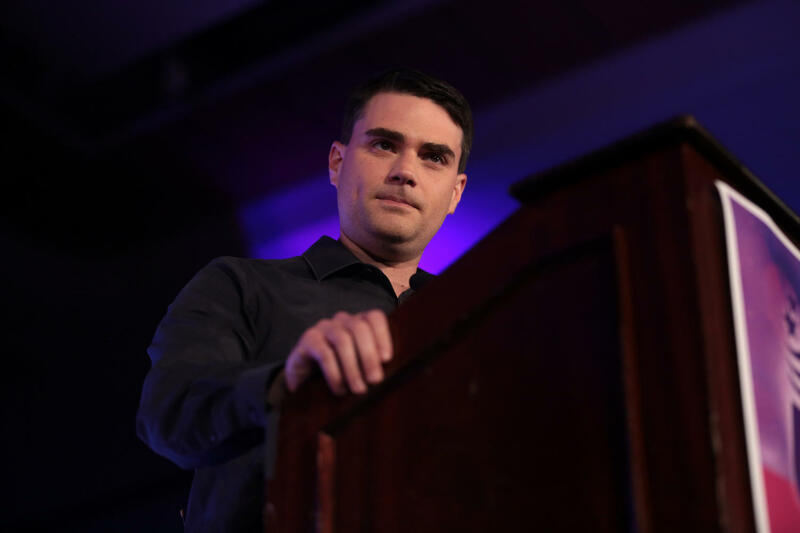 Shapiro’s views embody principled mainstream conservatism in every way, so it’s difficult to understand the tremendous backlash he receives — particularly violent protests. At Berkeley just last year, Shapiro needed hundreds of law enforcement officers, all equipped with riot gear, to protect him from an onslaught of violent protestors trying silence him — the security costs amounted to more than half a million dollars. And at CSULA several months prior, hundreds of rioters barricaded the doors to Shapiro’s talk, forcing him and his supporters, flanked by dozens of security guards, to slip into the building through a secret backdoor entrance. Such measures are ridiculous considering that many, including Pitt junior Jordan Koupal, feel Shapiro doesn’t hold hateful views. “I think there’s a lot of misconceptions that what he says is hateful. It’s laughable that people think that,” the economics major said. Giangiulio said peaceful protesters, like the ones at Pitt, help dispel with misconceptions that left-wing protests are a disorderly, riotous mob — which was the case at numerous universities Shapiro visited, and which prompted Pitt to levy a $5,500 security fee on Young America’s Foundation, the organization sponsoring Shapiro. While such a fee was understandable given Shapiro’s history of prompting protests, the blame ultimately falls on rioters at previous universities for mischaracterizing Shapiro’s views and trying to shut him down as a result — and it certainly frustrates conservative students. Watching mainstream conservatives like Shapiro be the target of protests doesn’t give conservative students much faith in the tolerance of their liberal peers. But luckily, full-scale riots like the ones Shapiro has endured aren’t the norm at universities — protesters only represent the fringes of the left. Still, while conservatives aren’t under siege at most universities — including Pitt — they are outnumbered. Thirty-nine percent of liberal arts colleges in the United States sampled in a 2018 study had no Republican professors at all — and 70 percent of faculty were Democrats. In an open-debate environment universities should foster, Shapiro is the sharp, assertive voice the conservative movement needs to combat colleges’ constant hammering of left-wing talking points. In the words of Jim Messina, a top White House staffer under the Obama administration, “If you get hit, we will punch back twice as hard” — and Shapiro certainly packs the intellectual punch to hit back twice as hard against both the left and the fascist right.